This time, I would like to let you know this item, the new innovative RDA made by Vandy Vape. 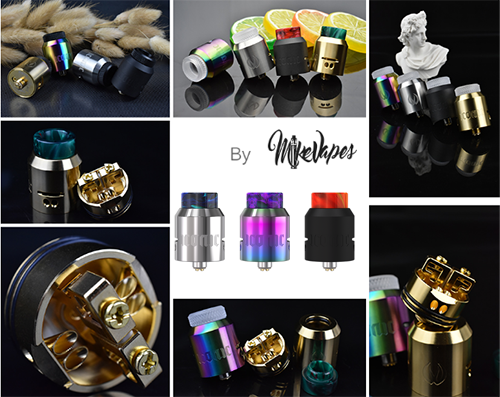 You know that Vandy Vape is always famous for it's multifarious variety of colors, but this time, the item not only has an excellent appearance but also an applicable performance. The VandyVape Iconic RDA will be a cloud machine that meanwhile gives you excellent flavor with both side and bottom airflow system integrated. The bottom airflow tubes allow extra room in juice well and prevent risk of leaking. With the clamp post design, it is easy to install coils and wick. Iconic RDA has pre-installed a resin drip tip, and delrin doc tip and frosted doc tip are included.